Move over pot lucks, there’s a new party in town. Kathy Gunst, the Maine-based author, food writer, teacher, and resident chef of NPR’s Here & Now, has invented a party concept that is nothing short of brilliant. 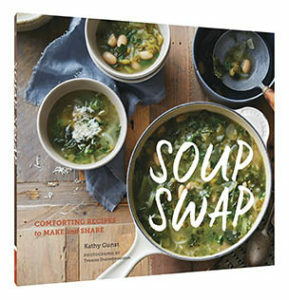 Soup Swap is the name of Kathy’s new book, and the idea behind a winter filled with delicious, comforting soups to make—and swap—with friends. 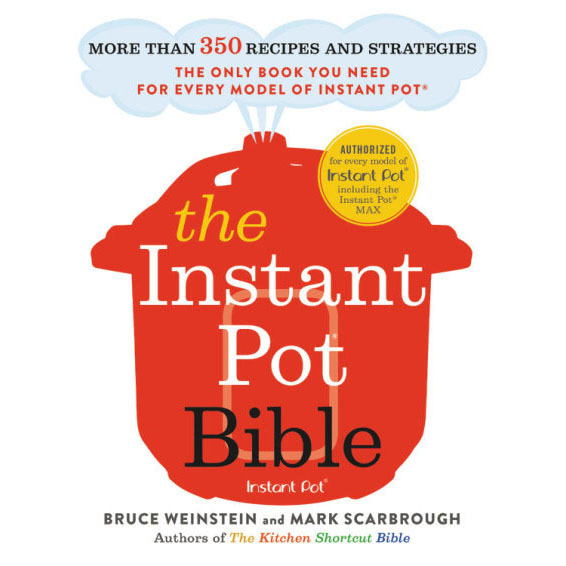 Here’s how it works: The host provides salad, good bread, and wine, and the party-goers each make a big pot of soup for tasting. Everyone brings their own containers, and at the end of the night, everyone fills those containers with soup to take home. You make ONE pot of soup, taste MANY soups, and go home with those soups to enjoy—or freeze for days, weeks, or months down the road. Kathy’s soup swap group gets together once a month all winter long. Can you think of any other party that makes winter in New England more bearable? Soup Swap includes some of the best soup recipes we’ve come across, and we’re personally vouching for Kathy’s Tomato Soup with Grilled Cheese Croutons (Chris Prosperi treated us to this soup for our pre-show meal). Of course the croutons were fun and we want to top all tomato soups with them from now on, but the soup itself was outstanding. (A box of Florida tomatoes made all the difference, since we won’t see tomatoes in CT for months). Grab this book and start thinking about which four or five food-loving friends or neighbors you’d like to break bread with. You will absolutely be inspired to start a soup swap of your own (though, we’re in it for the irresistible soup recipes, so if you don’t have a party, make room in the freezer—I identified at least seven soups I want to make before spring starts).